Boys Twin Pack Long Sleeve Shirts. 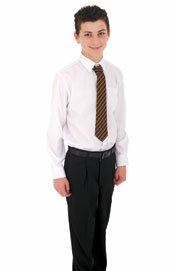 Non-Iron Shirts (EASY CARE) 65% Polyester 35% Cotton. Conventional Collar. PACK OF 2. LONG SLEEVE STYLE.